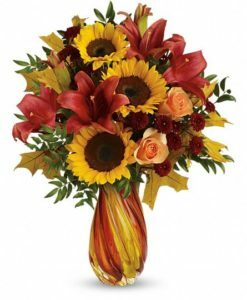 This burst of sunny fall sunflowers, artistically arranged in an amber glass lantern with golden leaves, will bring smiles to their faces and hearts! 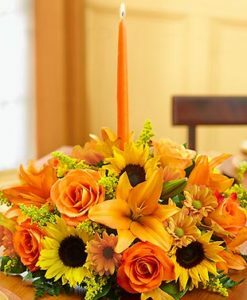 A simple votive transforms this vase into a glowing candleholder. 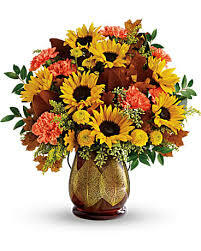 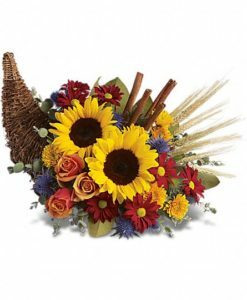 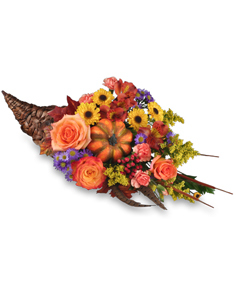 This dramatic bouquet includes yellow sunflowers, orange carnations, yellow button spray chrysanthemums, solidago, magnolia leaves, pitta negra, huckleberry, seeded eucalyptus, and transparent brown oak leaves. 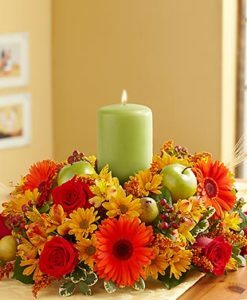 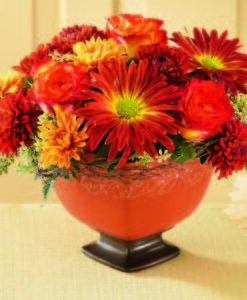 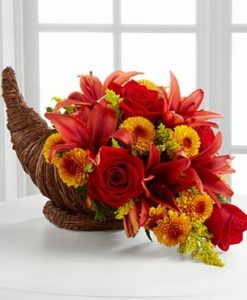 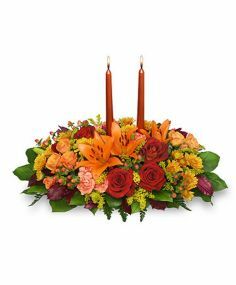 Delivered in Teleflora’s Citrus Harvest lantern.